This one has been gathering dust on the shelf for rather a while. 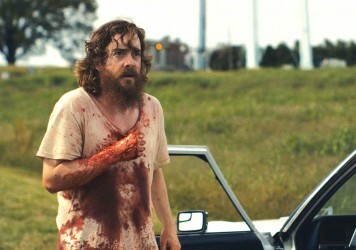 You can see why – a cannibal movie that will please neither fans nor neophytes. Just fast-forward to the gore. In writer/critic Kim Newman’s seminal horror cinema survey, ‘Nightmare Movies’, there’s a chapter entitled ‘Cannibal Zombie Gut-Crunchers – Italian Style!’ which examines the icky sub-stratum of movies in which people eat other people. You can imagine a young Eli Roth, in his Mario Bava jimmy-jams, being enchanted by this tome, especially by this chapter. But where he might have drunk in the glossy stills of disembowelled starlets impaled on giant spikes, and made copious notes of the obscure titles mentioned, maybe he didn’t get as far as actually reading what these films are about, their function and – in a few cases – what makes them great. The Green Inferno limps on to UK screens after thee years in cold storage, and it’s Roth’s bungled homage to these grisly spectacles of yore. But where those films wielded a mandate to offend and repulse like a blood-splashed badge of honour, this still feels too nice – it’s like a vegan cannibal movie. Yes, Roth’s film has its expected moments of high transgression, but you can never get away from the fact that all these references have been attached to the most hackneyed teen slasher narrative imaginable. Angular students are hacked off that the world is, like, so unfair, and so embroil themselves in a clearly illegitimate scheme to save indigenous rainforest tribes from the jaws of the corporate bulldozer. But – oopsy! – turns out the tribes being saved want to offer thanks to their western savours by clawing out their eyes, butchering their extremities and then placing their still-warm torsos into an oven at a low broil for about three-to-four hours. Then they want to use the tribal-tattooed tiles of burnt skin as a frisbee. 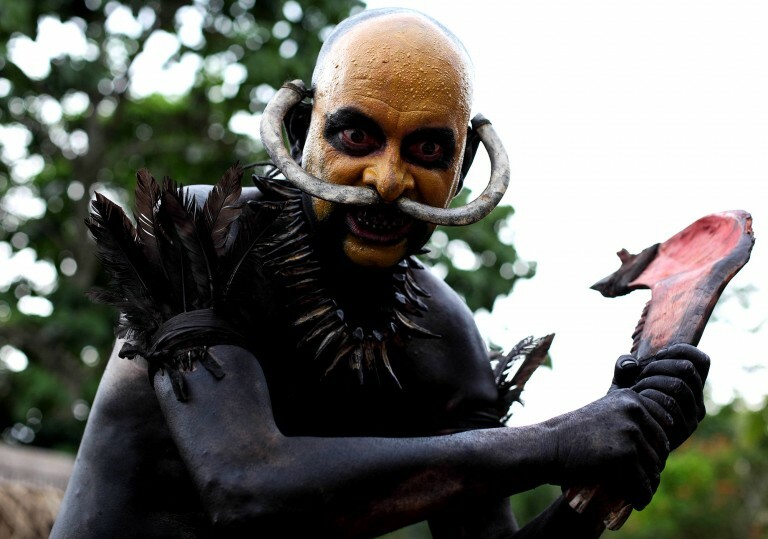 Where a film like Ruggero Deodato’s Cannibal Holocaust from 1980 presented his tribe of “savages” as essentially peaceable, only resorting to flesh-eating as a social defence mechanism, the body-painted tribe at the centre of The Green Inferno exist solely to munch on brains. Their mono-mania is completely dull. 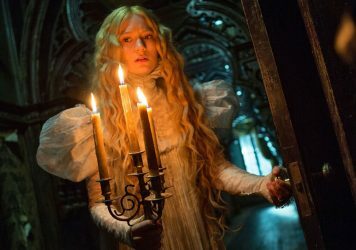 So instead of getting a film with any desire to talk about real people and actual situations, we have a deeply hate xenophobic fantasy where – despite their pampered ignorance – liberal bourgeois westerners are still the heroes. It’s a rancid work, on many levels. But it’s great that Roth has focused so much attention on making sure he captures exactly what it would be like to vomit in a plane as it’s about the crash to earth.